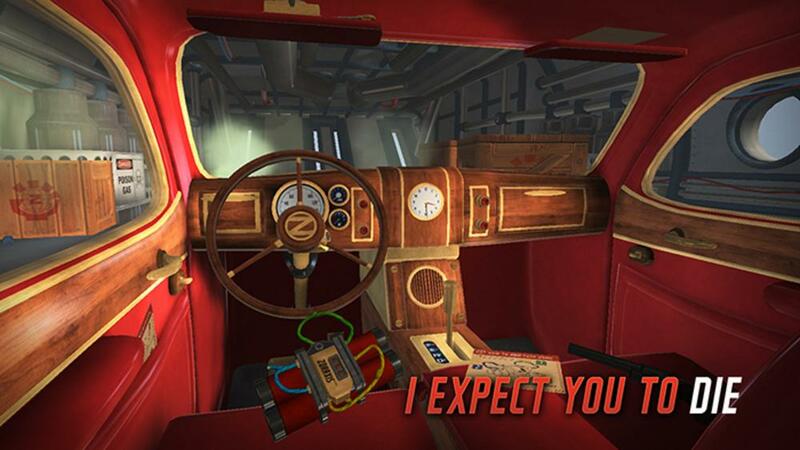 I Expect You to Die is a virtual reality (VR) puzzle game made for Oculus Rift that lets you step into the world of an elite secret agent to attempt to survive a series of deadly situations. The goal is to complete the mission using brain power, cunning and a top secret device that gives you the power of telekinesis. The game pays homage to James Bond and escape the room games with its design, art style, narrative, and sound. In 2015, the game was awarded Best Overall VR Experience at the Proto Awards, where it also took home honors for Best Gameplay and Best Interaction Design. It was a finalist at the 2015 Unity Awards in the Best VR Experience category. The game was also an Official Selection for the IndieCade Festival 2015.